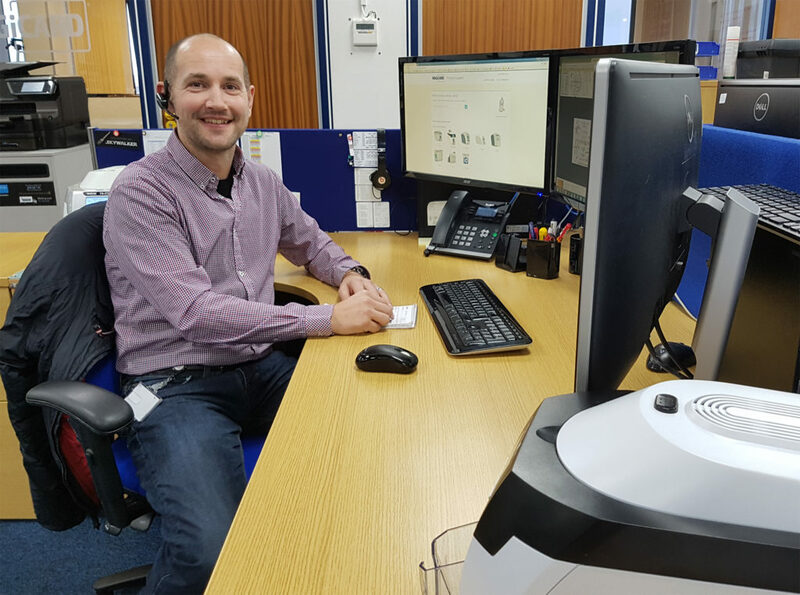 This month we talk to Luke Ridgway, one of Magicard’s highly-skilled Technical Support Engineers. If you have ever required assistance with an ID card printer, the chances are you will have spoken with Luke or one of his team. After travelling the World teaching sailing and watersports, I returned to university and then worked for a number of years as a Field Service Engineer for a general technical services business – supporting all manner of electromechanical equipment. This gave me the perfect background to join Magicard Technical Support – as you need to be an all-rounder in this position. I’ve passed my first milestone, I’ve now been part of the Magicard team for well over five years, in fact, it’ll soon be six. We provide worldwide technical support to our network of dealers, sub-dealers and in some cases, end users directly. This is via web created cases from magicard.com, email and telephone calls. We personally maintain our fleet of loan printer stock to fulfil the industry-leading UltraCoverPlus Warranty. We also create and deliver technical training and get involved with new software and hardware development by offering first-hand experience and suggestions learned from our users. I have worked in a wide range of companies and positions… As an employer, Magicard is head and shoulders above the rest. Since the LDC MBO of Magicard from Ultra Electronics, I think the Senior management team and HR have been able to apply the investment from LDC wisely. We have seen many improvements in equipment, workspace and benefits which will no doubt fuel the team for growth, which we are already experiencing. I have been involved with many different projects over the years, big and small, and each has been interesting and challenging. Honestly though the main thing I enjoy is helping our customers resolve any issues or concerns they have. Through my previous experience coupled with the ongoing training from all departments here at Magicard, we regularly receive excellent feedback for our quick and precise support. The company is growing and I am keen to grow with it, so who knows what opportunities will arise as we grow and evolve our range of products for future markets.